The Asian stock market is rapidly growing. Are there hidden opportunities for you to grow your wealth as an Asian investor? In this session of BidAndAsk, we interview someone who believes in the Asian stock market so much that he wrote a book and built a website about it! Meet Stanley Lim. Founder of Value Invest Asia, ex-Motley Fool analyst and CFA. Recently, he wrote a book “Value Investing in Asia”. Working his first job in Malaysia right after graduating from university, he recalls earning a salary that is only about S$500/month. He knew right then that the job can not be his long-term plan. 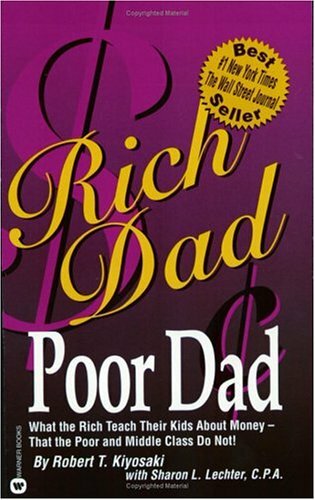 He remembered reading "Rich Dad, Poor Dad" by Robert Kiyosaki when he was younger. From the book, he learnt about the four quadrants and concluded that to get more money, you had to become either a businessperson or an investor. It sparked the interest to investing in him. Stanley started reading investing books like "Intelligent Investor" and "Security Analysis", from which he learnt about Value Investing. When asked about starting the website, ValueInvestAsia.com, Stanley replied how it all boils down to seeing where they are investing: Asia. There is always this struggle for investors who are looking for information about the Asian market. Compared to the US market, it is very easy to find stocks information. And this is not the case for Asian stocks. While trying to invest, Stanley realised that there were a lot of information about U.S. stocks and the U.S. stock market. Comparatively, information about Asia and its stock markets are rare. Hence, Stanley launched valueinvestasia.com with the aim to become the information provider of in-depth research about Asian stocks for investors across the globe. Although he is optimistic about the future of Asia and the Asian stock market, Stanley admits that he also invests in the US stock market. He thinks that there are many high quality US companies that are worth investing in. At the point of this interview, US stocks make up about 20-30% of his portfolio, this includes Chinese companies that are listed in the US. With that said, he emphasized that his portfolio is still consists predominantly of Asian stocks. His team at Value Invest Asia are also very optimistic about where Asia is going to be in the next few decades. That's why most of their stocks is still in Asia, and they aim to share more about Asian stocks to investors. 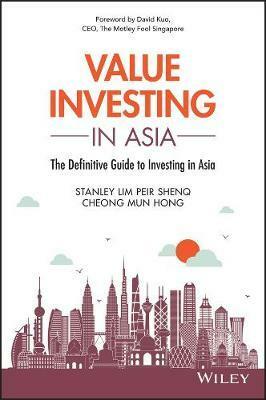 In his book, “Value Investing in Asia”, Stanley discussed the difference between Asian companies and US companies. He noted that Asian companies tend to be family-owned, compared to US companies which tend to outsource and hire professional managers to run the company. Due to this nature of small Asian companies, investors should take precautions when investing in value stocks in Asia. In family-owned companies, the interest of the owners and the shareholders are actually aligned. Everyone wants the company and the business to do well. Although there are instances of well-run, family-owned listed companies, there have been cases where business owners don't treat minority shareholders as fair partners. Their mindset is that they have spend their lives building the companies, while minority shareholders merely bought the stocks. Because of this mindset, they do not treat minority shareholders fairly. In more extreme situations, the company channel their profits away into "related party companies"
In a nutshell, Stanley urges investors to study the key shareholders and be on the lookout for signs that the majority shareholders are not on the side of minority shareholders (you!). Of course, the best scenario would be to find a family-owned business helmed by a shareholder who is friendly to minor shareholders. Diversified Vs. Concentrated Portfolio - Which is Better? Should you invest in less than 10 stocks, or more than 40 stocks? One of the most common questions is how many stocks should one invest in. And right now, he owns around 40-50 stocks. The reason he diversified his portfolio is so that he would not need to spend too much time understanding and following one company. Instead, he now spends a sufficient amount of time to understand a company, and if it meets his criteria, he will then take a very small position (~2-3% of his entire portfolio). At such a small exposure, if anything were happened to the company, he would not be deeply affected. In the past, he used to make very concentrated bets. And through his personal investing experience, he found out that one mistake can lead to a huge set up to your wealth building process. At the point of the interview, his optimal number of stocks for his portfolio is between 40-50 stocks. On the flip side of being too concentrated, there have been instances of professional fund managers whose funds hold between 300 - 1000 stocks. As a retail investor, Stanley does not follow that kind of strategy. He thinks that it will be too time-consuming to monitor so many stocks. He also added that he wants a life outside of investing, which many of us fellow investors want to. Hence, he suggests that owning 40-50 stocks allows him to strike a good balance between risk management and having personal time. Of the three, growth companies are the most difficult types of companies to identify. I threw the question back at him during the interview; "How can retail investors find real growth companies?" Some might never reach their true potential, others might hit a wall in their business and fail. In order to limit your risks, Stanley urges retail investors to first own a core portfolio of high quality income stocks. This should make up 50%-80% of your portfolio. You can then look into growth companies thereafter. You can allocate 20-30% of your portfolio to growth companies. On top of looking at those 2 components, Stanley reduces his risk per stock further. He invests up to 3% of his portfolio value in income stocks, however will only invest up to 1% in a single growth stock. Basically, when it comes to growth value investing, risk management is key. Allocating a smaller portion of capital to growth stocks. Limit it to between 20-30%, or even lesser. Reducing the exposure of each growth stock. To Stanley, stocks or property are merely different forms of wealth storage. different assets for you to store your wealth. And he stresses that cash is the worst store of wealth. He gives the examples of billionaires like Warren Buffett and Robert Koch who are worth twenty-thirty billion dollars. But, their wealth are not in cash, in fact most of it are in stocks. Stanley reminds us that stocks would appreciate in price over the long term whereas cash tends to depreciate in the long term. This greatly contradicts the common belief that an investor should hold cash, so that they can buy more stocks during a market crash. Although it is a very smart plan, Stanley believes that it only works in theory. In reality, when everyone is panicking, it's very difficult to buy stocks. Being invested means that you do not have to fight against the fear or panic during a market crash. Plus, it's not everyday that a market crash occurs. He notes that if you had invested at the peak of 2008 (before the crash), you would still be ahead of the market today. Holding 100% cash will not allow you to grow your wealth over time. I am pretty sure that the investment industry is not devoid of great advice. It is common for most investors to give up when they do not get a meaningful return in the short term (10 years or less). Value investing might feel like it’s not worth your time. However, Stanley shared his personal experience of not being able to get a good return in his first seven to eight years. His portfolio did not generate a lot and definitely did not deliver a meaningful return. He stresses that with enough time, investors with a proven strategy will reach critical mass. Then, you will really start to see the snowball effect and your wealth will start compounding at a faster rate. However, most aspiring investors quit too early. I hope you have picked up useful investing insights through this quick interview with the founder of Value Invest Asia, Stanley Lim. He shared a potential pitfall of investing in small Asian value companies, how you can identify growth companies, and why you should be patient as an investor. Let me know in the comments, if there are investors you'd like me to interview! How many stocks should I own in my portfolio? We Analysed 1,300 Data From 6 S’pore Telcos. Here’s What We Found About The Best Mobile Plans Of 2018.